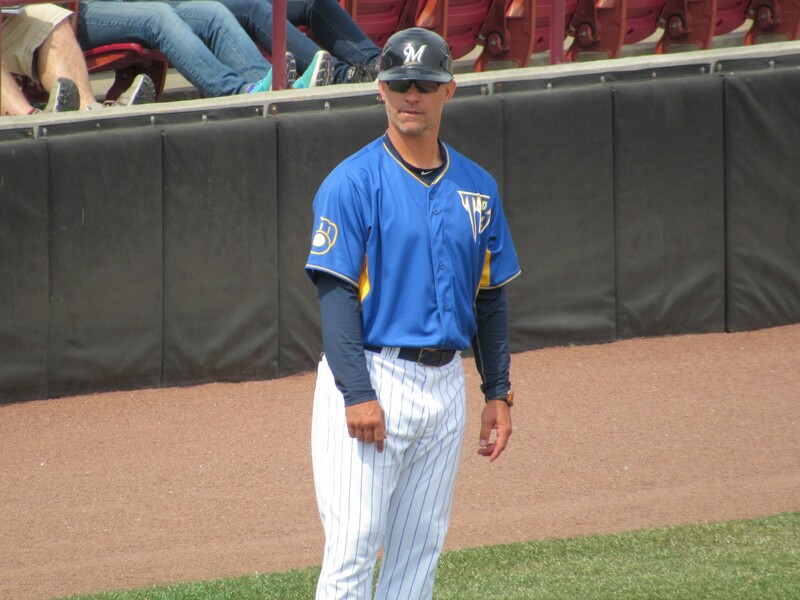 Matt Erickson will return for a ninth straight season as manager of the Wisconsin Timber Rattlers, the Milwaukee Brewers announced Thursday. The Appleton native has been with the team since 2009, serving as hitting coach for two years before becoming manager in 2011. He led the Timber Rattlers to the Midwest League title in 2012, and brought them back to the playoffs in 2014 and 2016. As a player, Erickson primarily was an infielder during his 11 seasons in the minor leagues. He appeared in four major-league games for the 2004 Brewers, with his only MLB hit coming off Hall-of-Famer Greg Maddux. He played in the Midwest League in 1998, batting .324 with 4 HR, 64 RBI and 17 SB in 124 games with the Kane County Cougars. Erickson will have new hitting and pitching coaches on his staff this year. A former Cougars manager, Dave Joppie, is the new hitting coach. He managed and coached in the Oakland A’s organization from 1995 to 2005, a tenure that included being Kane County’s skipper in 2004 and 2005. He served as a hitting coach in the Boston Red Sox organization from 2006 to 2016, and has been a hitting coach in the Brewers farm system since 2017. Former major-leaguer Jim Henderson is the new pitching coach. His MLB career included parts of three seasons with the Brewers (2012-14) and one season with the New York Mets (2016). His minor-league career included time with the Timber Rattlers, for whom he posted a 1.07 ERA, 17 saves and 26 strikeouts in 26 relief appearances (25.1 IP) for the 2009 team. He was a Midwest League All-Star that year. This entry was posted in 2012 Playoffs, 2014 Playoffs, 2016 Playoffs, Kane County Cougars, Midwest League, Wisconsin Timber Rattlers. Bookmark the permalink.